Do Auto Insurance Rates Go Up With Age? There are a lot of factors that affect the amount you pay for your car insurance. Some of those factors – like your driving record – are understandable; however, there’s one factor that impacts auto insurance rates that may seem a bit unfair: your age. 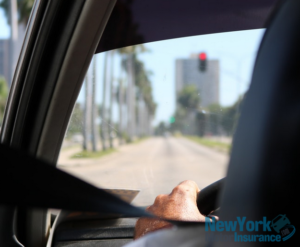 It’s a known fact that young drivers are charged higher rates for their insurance. Why? – Because they are inexperienced and often careless and reckless. These attributes of young drivers – particularly those who are under the age of 20 – mean that they are more likely to be involved in collisions. As such, they are more of a liability to insure; hence the reason why young drivers pay higher rates. But as you gain more experience behind the wheel, your premiums decrease; that is, until you reach the age of 65. Once you reach this age, you can expect age to play a big role in the amount you’ll pay for coverage. Why? Below, we investigate the reasons senior drivers can expect to see an increase in their car insurance rates and what steps can be taken to reduce and manage the cost. Why Do Seniors Pay More For Auto Insurance? Typically, car insurance rates decrease as drivers’ age and gain more experience behind the wheel. Once you reach the age of 30, you’ll start to notice that the cost of your coverage will decline, and it will continue to decrease until you reach the age of 65, as long as you maintain a decent driving record. However, once you turn 65, you can expect to see an increase in the price you’ll pay for coverage. According to a wealth of data, these factors can severely impact driving. In fact, data reveals that people above the age of 65 are not only more likely to be involved in accidents than people between the ages of 30 and 64, but the accidents they are involved in are also more likely to result in more severe and costly injuries. As a result, car insurance providers consider senior drivers more of a liability to insure, which is why the rates of this age group tend to be higher. While the factors mentioned above can certainly lead to an increase in the cost of car insurance for seniors, higher rates aren’t always the case. Older drivers have a tremendous amount of experience on the road, and that experience actually plays a big role in the price of coverage. As a matter of fact, lack of experience is the main reason why young and new drivers usually pay more for auto insurance. Therefore, because of the experience older drivers have, their insurance rates may remain consistent, or they may actually decrease. Furthermore, seniors often drive less than younger drivers, which is another factor that can have a positive effect on auto insurance premiums. That stands to reason, because the less you drive, the lower the chances are that you will be involved in a collision. How can Seniors Save on Car Insurance? If you are concerned about the price of your auto insurance going up, you’ll be happy to know that there are a number of ways that you can keep the cost down. Play it as safe as possible. The safer you are, the less your auto insurance will be. You can increase your safety on the road by driving a safe car (one that has been selected as a Top Safety Pick by the IIHS, for example), stocking your car up with safety device, and by completing safe driving courses that are offered for seniors (check with your local DMV for options). Consider eliminating unnecessary coverage. For example, if you drive an older car or your vehicle is paid off, you could drop your collision coverage and just maintain liability coverage, which could save you a significant amount of money. Limit how much you drive. The amount you drive is a major factor that car insurance companies take into consideration when determining your premiums. Keep track of the amount of miles you drive and let your auto insurance provider know; you could save a bundle. Consider increasing your deductible. The higher your deductible is, the less your payments will be. If you are limiting your driving, raising your deductible could be an effective way to lower your rates.